Brickliner is an exciting logic games. 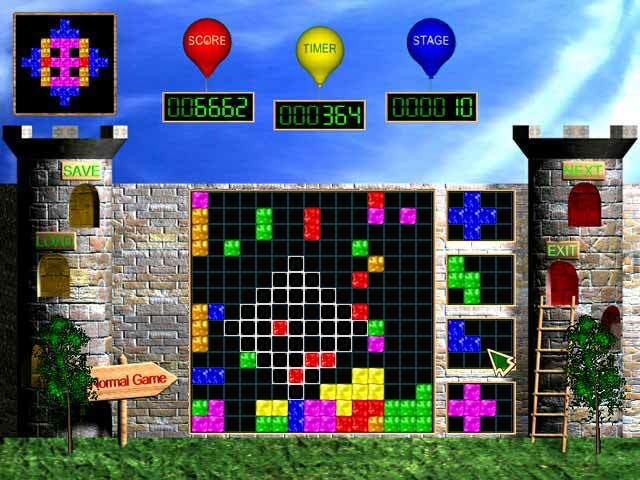 To pass the level you need gather different figures consisted of colored blocks for fixed time. Four different blocks are available at the same time. A new block is appeared at the place of the taken one. You should give back the taken block if you didn t place it on the game field. If the block is not suitable you will change it by clicking Next key and losing of 50 points.